Remember the clip that was making the rounds of the social media, about a little girl who was forced to study? Her relatives have spoken up! Two days back, parents were up in arms voicing strong opinions about a clip that was making the rounds on social media. Shot in India, the clip had a teary-eyed girl (aged between 4-5 years) trying to read aloud the numbers 1 to 5. She fumbled and faltered and was screamed at by a woman for her mistakes. However, the identity of the girl as well as the woman behind the camera was shrouded in secrecy, until today. 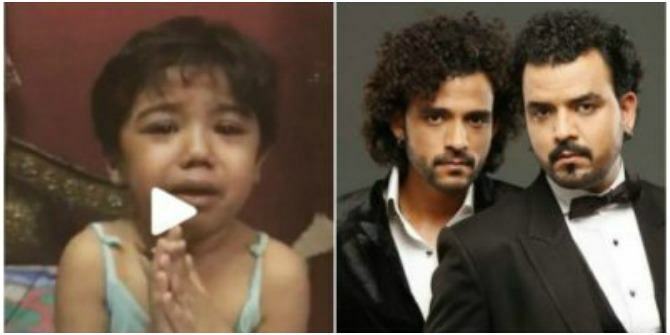 As it turns out, the girl is 3-years-old and is Haya, the niece of the famous Bollywood music director duo Sharib and Toshi. The true identity of the girl came out when netizens spotted her videos on her maama Sharib Sabri's Instagram page. And when media contacted him, he blasted them saying that they had prepared the video for the family to see how stubborn little Haya had become. "It was a video made by a mother to show her brother and husband as to how stubborn the kid had become," he explained. He also added that they know their child best and people should not try to dictate parenting to his sister. "Ours is a very stubborn child"
Addressing the backlash to the video Sharib explained, "Virat Kohli and Shikhar Dhawan don’t know about us. We know best about our child. It's her nature...within seconds she starts playing. If you leave her alone, she will say it was a joke. If we let her be because of her nature, she will not be able to study at all." He also added that even though she is quite stubborn, she is after all their baby and they would never do anything to hurt her. "If other people are feeling bad, think about the mother. It is a mother's love, you cannot judge it. She kept the baby in her womb for 9 months after all," he added. And he finally said that one cannot stop teaching and educating children just because they are stubborn or behave like that. But while his side of the argument may hold water if the child is in fact, extremely stubborn; assaulting the 3-year-old may also not be the solution. We'd once again like to reiterate that just like everything else, parenting must also evolve and adopt with the changing times. Where a 80s kid or an 90s kid might find spanking 'normal,' it may not be so 'normal' for a millennial kid or parent. These days, there are science-backed alternatives to corporal punishment as discipline which parents really should consider adopting.